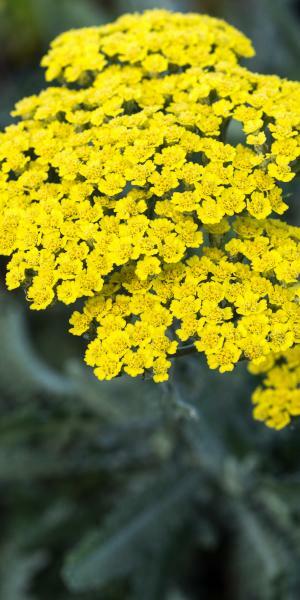 Soft yellow flower heads on this Yarrow contrast beautifully with its soft grey-green foliage. Much beloved by bees and hoverflies. 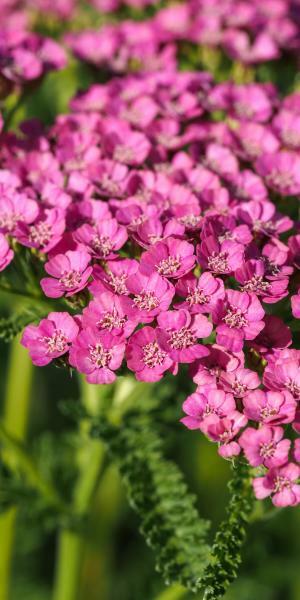 This Achillea produces a profusion of bright mid pink flowers that fade to pale pink, over mid green fern-like foliage. 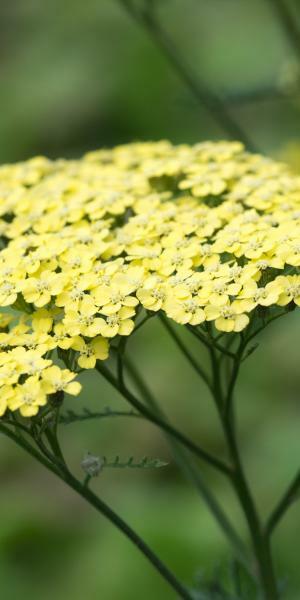 The soft yellow flowers are held in gently domed clusters on tall stems above dark green foliage. 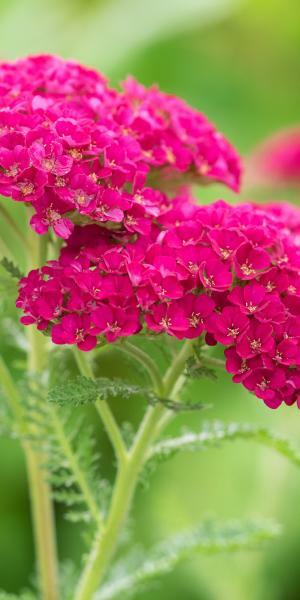 A stunning, eye-catching plant, one of the best red flowered Achillea around. Bees and hoverflies cannot get enough of it too. 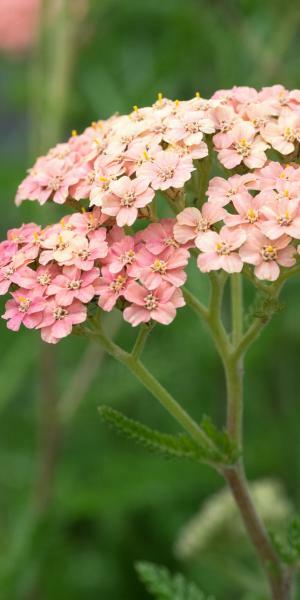 Gently domed clusters of small flowers open soft salmon pink fading to cream, over ferny mid green foliage. 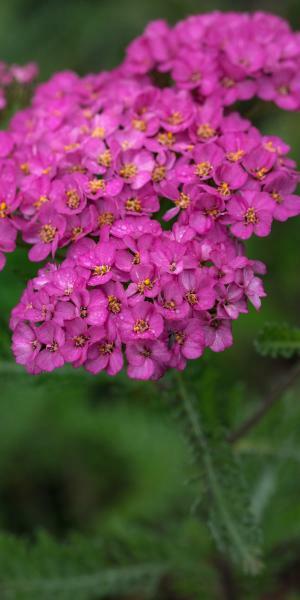 Another very pretty Achillea, its delicacy belies its toughness. 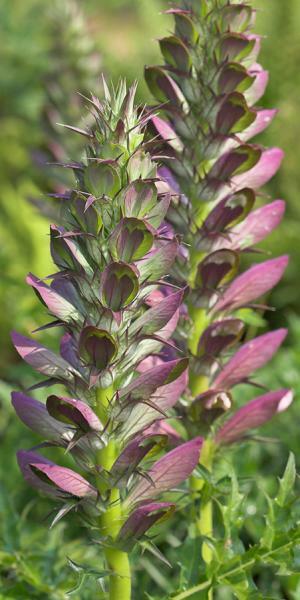 Great for pollinators. 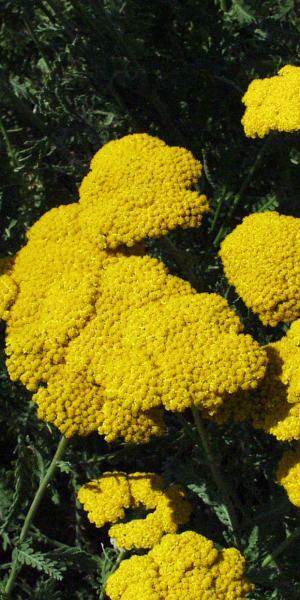 This plant's very soft grey foliage contrasts well with the intense yellow flowers that are produced in early summer. 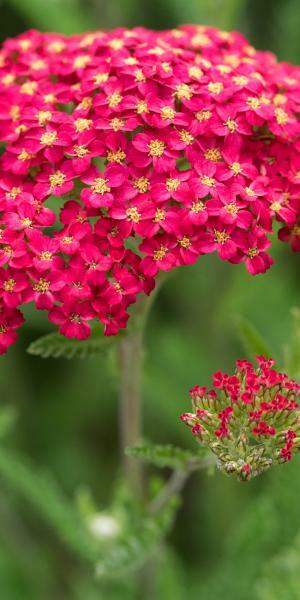 Clusters of rich red flowers with a strong cerise hint appear in late summer over its mid green, very divided foliage. 'Pomegranate' retains its colour well even as the flowers start to go over. 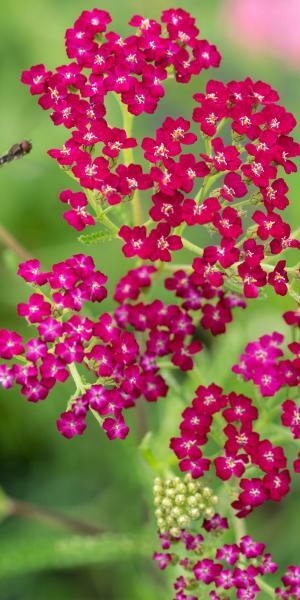 Clusters of rich ruby red flowers are held high on branching stems above mid green finely cut foliage. 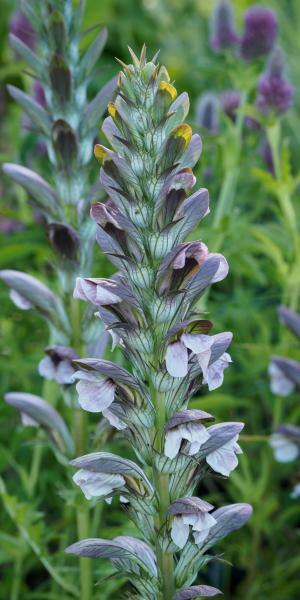 The flowers are best in mid summer. 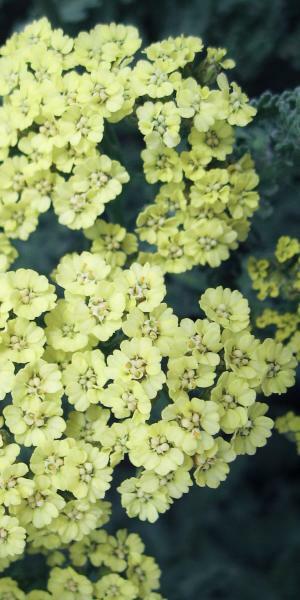 Masses of bright yellow florets form dense, slightly flattish flowerheads, which act as landing pads for pollinating insects, over its slightly fuzzy and finely cut mid green leaves.